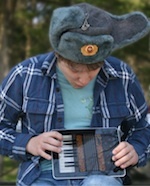 When it comes to the accordion, I try to keep an open mind. I’ll listen to virtually any type of music if I’m told there’s an accordion involved. Polka? Naturally. Tex-Mex punk? ¡Sí! Finnish folk-metal? Sign me up… IN BLOOD. That’s right—accordion misspelled with “an” at the end, instead of “on”. Whenever I see that horrible, misshapen word, I want to bellows shake some sense into the author’s head. And, unfortunately, it happens all too often. What gives? No one goes around misspelling “guitar” or “piano” and gets away with it. To combat the continued spread of this atrocious misspelling, we’ve created a very simple site: a-c-c-o-r-d-i-o-n.com. So the next time you see someone misspell the name of our favorite instrument in an article, tweet, or Craigslist ad, gently refer them to a-c-c-o-r-d-i-o-n.com. And remind them to use a spell-checker, for goodness sake. Today’s New York Times has an excellent article on Castelfidardo, the longtime center of the Italian accordion industry. From Paolo Soprani’s shop in 1863 to the peak of accordion production in 1953 — 200,000 instruments built by 10,000 full-time workers — Castelfidardo has been inextricably linked to the accordion. There are still about 27 companies building accordions and parts there and, rather than compete with cheap models from Eastern Europe or Asia, they’re focused on building fewer, but higher-quality instruments. Pigini is the largest accordion maker in Castelfidardo, making professional-caliber accordions ranging in price from $3,000 to $43,000. While China has long since passed Italy as the largest producer of accordions, the folks in Castelfidardo are confident that the best players will eventually find their way to Castelfidardo’s exceptional, hand-crafted instruments. If you’re planning a trip to Italy and want to visit Castelfidardo, be sure to check out the International Accordion Museum, which traces the accordion’s evolution from the 19th century to present day. There’s also (of course) a big accordion festival there every Fall. Twenty years ago, Jim Boggio and Clifton Buck-Kauffman had a crazy idea. What if they put on a music festival in the small Northern California town of Cotati? 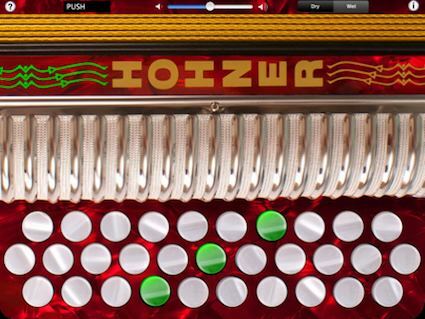 And what if it was centered around the accordion — which Boggio played — and incorporated a mix of musical styles like jazz, polka, Cajun, gypsy, etc. Would people be interested? Could they pull it off? The answer is yes. Twenty times yes, in fact. This weekend, as they have for twenty years, accordion lovers from across the country and beyond will descend upon Cotati, CA, for the annual Cotati Accordion Festival. There will be two full days of accordion music, a tent dedicated to nonstop polka dancing, booths for accordion clubs and vendors, and, of course, the traditional Lady-of-Spain play-along accompanied by the release of white doves. Thousands attend every year and the non-profit festival raises important funds for local youth organizations. Anna and I have been attending for more than ten years and we’ll be there again this year. If you see us wandering around, be sure to say hi!